What a beautiful, vintage styled necklace by Kenneth Jay Lane! 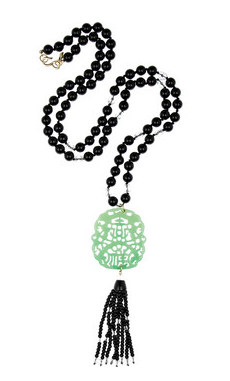 I love black beads and jade together, it has this mix of exotic and art deco vibes that reminds me of the 20s. Buy at theOutnet.com for $80.